Book Week brought with it some BRAND NEW fans! I love all my Charlie fans. There are those who have been there since day one. Those who have come from a cheerleading background. Those who have joined cheer because of Charlie. Those who have just discovered Charlie recently. It's the latter ones that were predominant in this year's Book Week fan photos. 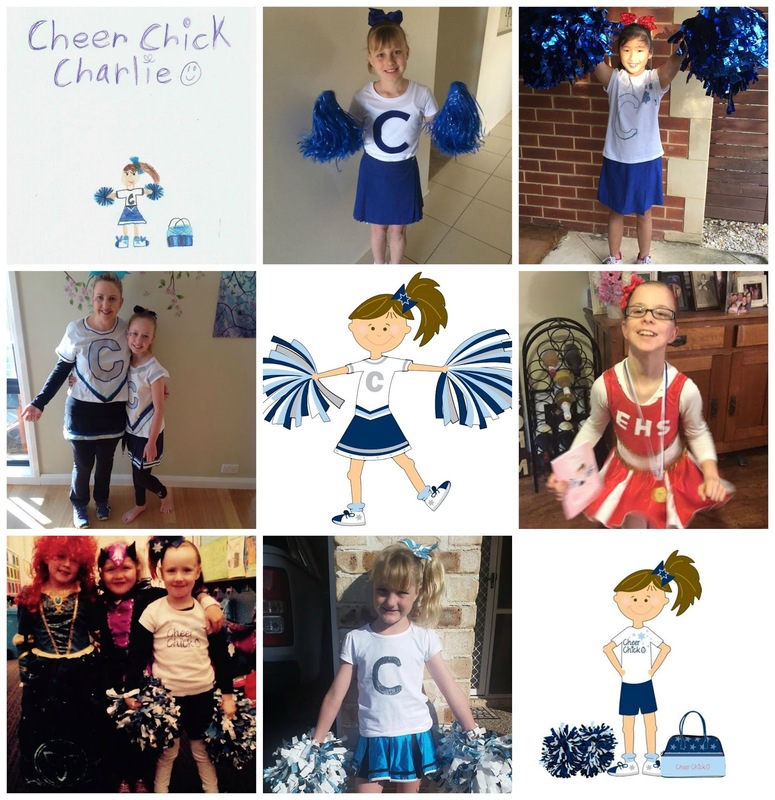 The brand new Charlie fans from outside the cheerleading world who have discovered Cheer Chick Charlie for the first time. I am so excited that Charlie is spreading to the broader population! How awesome are these Cheer chicks . Thanks for hosting as always Trish!